At Smile Essential in Leicester we offer an array of affordable, fast braces and clear aligners for adults that can straighten teeth in a matter of months. Teeth straightening has come a long way since the days of wearing 'train tracks' for two years or more. Our Leicester dentists provide modern braces for adults that are affordable, work fast – often in as little as six months – and can even be clear, meaning most people won't even realise you are wearing them. Our Leicester dentists are proud to offer Six Month Smiles that are an innovative, cost-effective alternative to traditional metal braces. Using tooth-coloured wires and brackets for maximum discretion, Six Month Smiles at Smile Essential will dramatically improve your smile. Six Month Smiles can treat a whole range of problems, from misaligned bites to crowding and gaps between teeth to overbites. This system helps improve oral hygiene and provides comfort during treatment. A full assessment with one of our certified dentists will evaluate your teeth for suitability and they will advise on treatment procedure, duration, benefits, risks and costs. 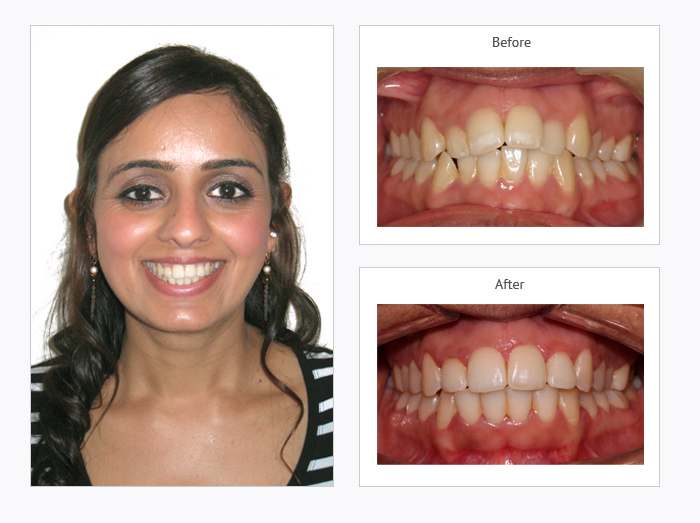 The ClearSmile Brace at Smile Essential in Leicester is a rapid and aesthetic orthodontic system that focuses mainly on the front ten 'smile' teeth. 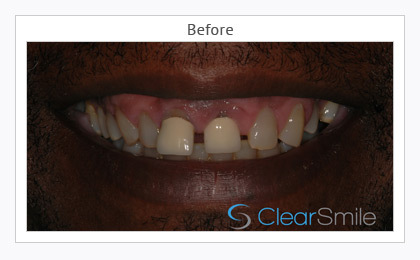 The speed and less visible appearance of the ClearSmile Brace make it a highly appealing option that will fit everyone's lifestyle. 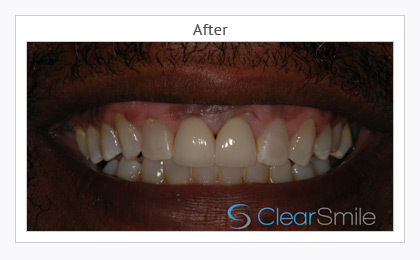 ClearSmile Braces use traditional techniques with new technology to reduce orthodontic treatment times. Treatment can take 3 to 12 months depending on your teeth. Our Leicester dentists also offer Quick Straight Teeth a fast, effective and discreet tooth straightening system. Quick Straight Teeth braces concentrate on only the front six to eight teeth to correct mild to moderate orthodontic problems. The orthodontic appliances come in two forms, removable and fixed braces, both of which are transparent making them almost invisible in your mouth. The Quick Straight Teeth system takes just 4 to 24 weeks depending on complexity. Visit us for a consultation with one of our dentists to check whether this system is suitable for you. We offer a free consultation for teeth straightening, so, if you are considering this treatment and would like to find out more, please contact us today to book.